Foreign minister Julie Bishop says those behind the shooting down of Malaysia Airlines flight MH17 may have to be tried in absentia as the Australian Government reaffirms its commitment to using every legal avenue to bring those responsible to justice. 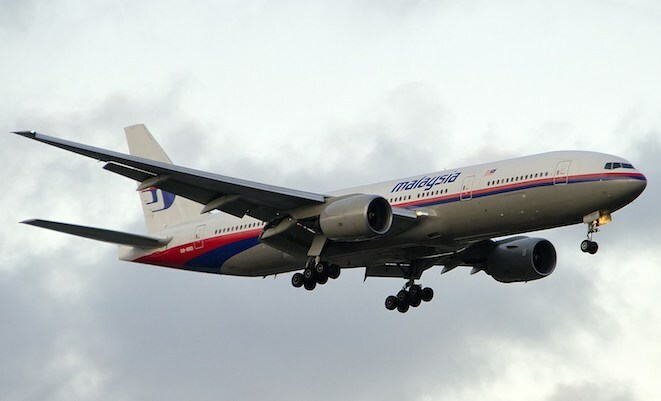 On July 17 2014, a Malaysia Airlines Boeing 777-200ER, 9M-MRD, operating a scheduled flight from Amsterdam to Kuala Lumpur and carrying 283 passengers and 15 crew members – including 38 Australian citizens or permanent residents – was shot down over eastern Ukraine. There were no survivors. Amateur video footage showed the aircraft exploding on impact with the ground, and the charred remains of recognisable aircraft components strewn across a fairly wide semi-rural area. A report from the Dutch Safety Board published in 2015 found the Malaysia Airlines jet was shot down by a Russian-made Buk surface-to-air missile that was launched in a 320 sq km area in eastern Ukraine. In 2014, Australia sponsored a United Nations Security Council resolution that expressed condemnation of the shooting down of the aircraft and set up an independent international investigation. It was unanimously backed by all 15 members of the Council, including Russia. And in July 2017, it was announced the five countries jointly investigating the crash – Australia, Belgium, Malaysia, Ukraine and the Netherlands – had chosen the Dutch courts to prosecute those suspected to be responsible for the downing of the aircraft. The move followed Russian efforts to block the establishment of an international court to bring those behind the shooting down of MH17 to justice. Bishop told the ABC Insiders program on Sunday she was “confident that we are doing all we can to bring those responsible to account”. “We have now confirmed that we will back a Dutch national prosecution which will be an independent and fair and transparent prosecution,” Bishop said. “And we will work as hard as we can to support the Dutch and Ukraine because I’ve entered into a treaty with the Netherlands so that the full criminal jurisdiction of Ukraine has been transferred to the Netherlands. Bishop urged Russia, which has consistently denied being involved in the shooting down of the aircraft, to abide by the Security Council resolution from 2014 that called on all nations to cooperate to ensure those responsible were brought to justice. “There have been reports that some of the witnesses have been detained in Russia. Well, I certainly urge Russia to comply with the Security Council resolution and do all it can to help bring these people to account,” Bishop said. A memorial located near Amsterdam’s Schiphol Airport will be unveiled on Monday (European time) to remember the 298 people who died. Many of the victim’s relatives were expected to attend. It seems unlikely to happen. Abbott already shirt-fronted the perpetrator, so a trial now would be double-jeopardy.